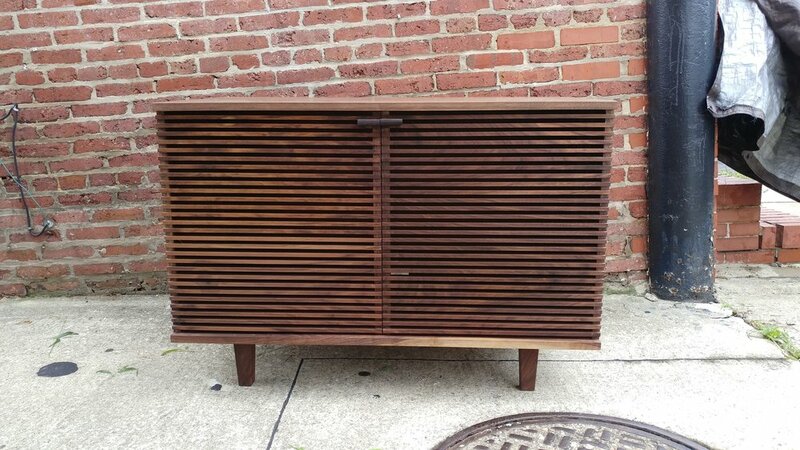 A mid-century modern style two door console cabinet of walnut. Doors feature small strips of wood to hide electronics but let sound pass through. 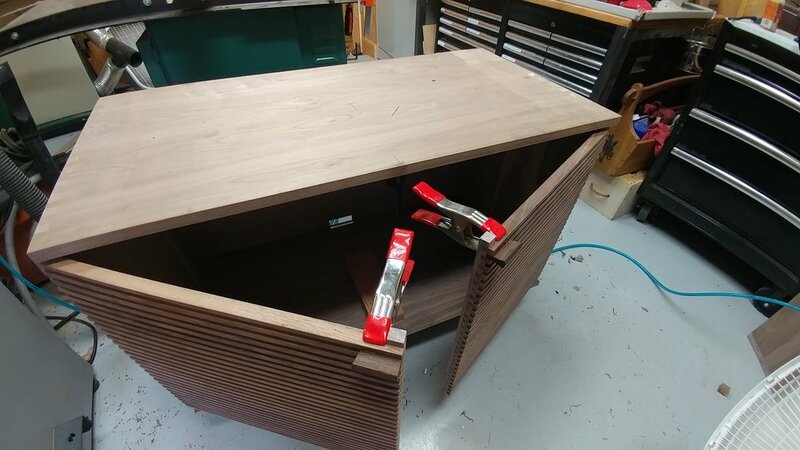 Box joint construction of the case. 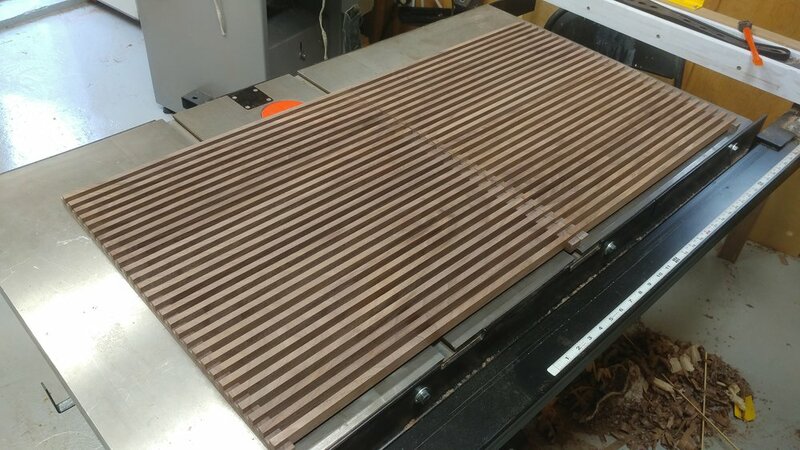 This commissioned piece draws on similar design elements used in the Low Console with Screen project; similar doors were constructed featuring thing wood slats. These doors hid the client’s audio equipment while at the same time allowing for sound and remote signals to pass through. Walnut is used throughout, with the exception of the carved wenge door handles. Finish is natural tung oil and wax. 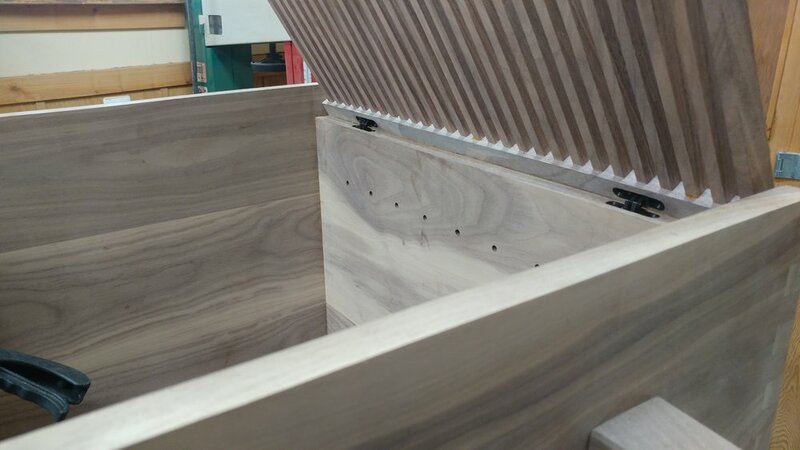 The main casework is assembled using strong box joints. 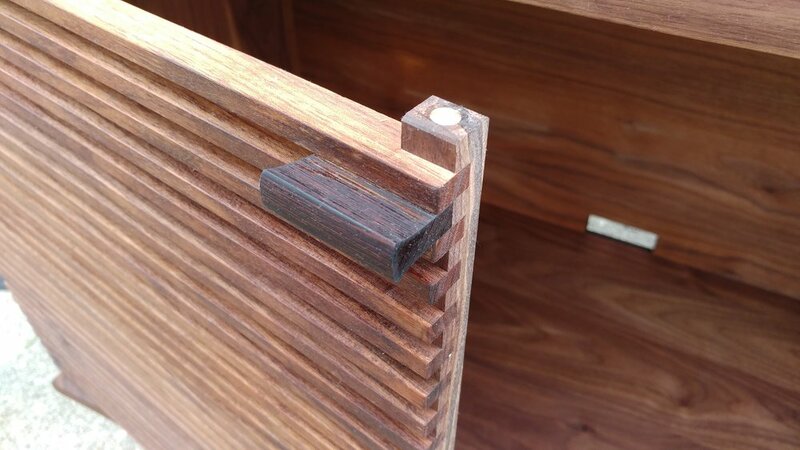 The doors feature hidden hinges that fold into themselves within the edges of the casework. 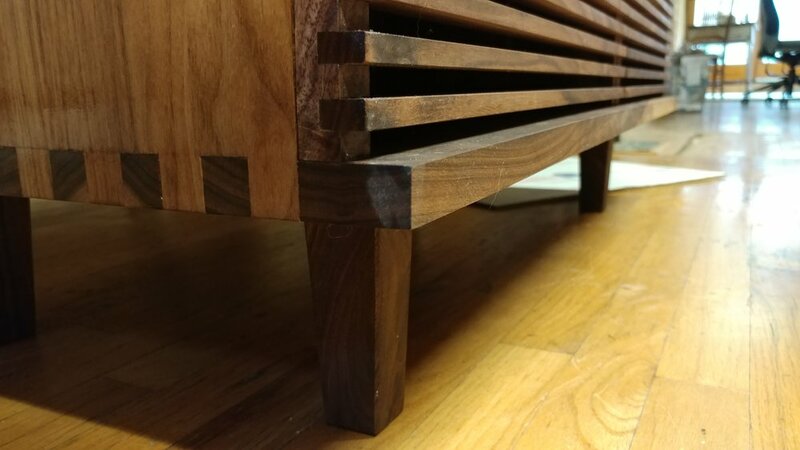 Simple, tapered legs hold the console aloft. 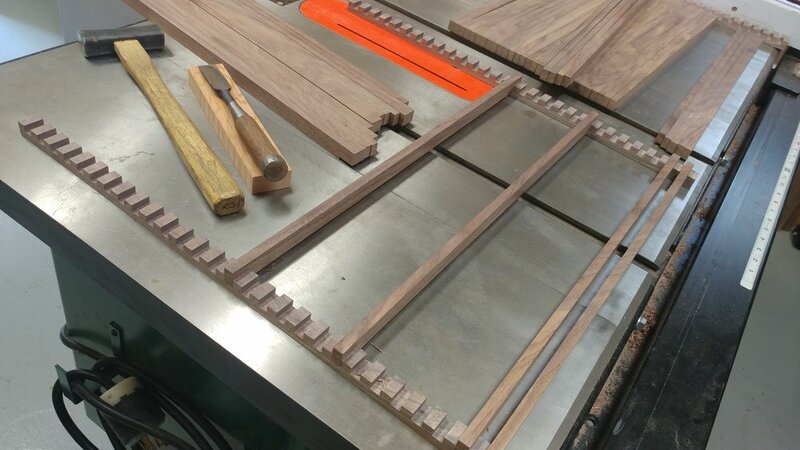 The doors are coposed of 56 strips of walnut, the grain orientation maintained so you can see the flow of patterns across the doors. A small brass catch and spring loaded ball holds the doors closed. 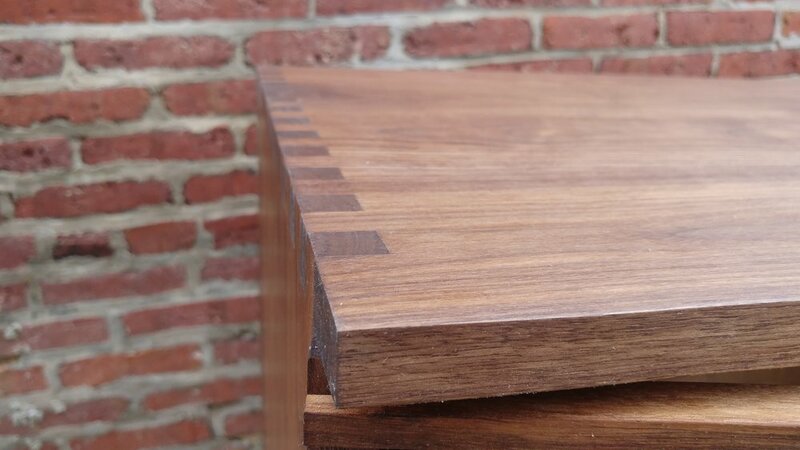 Wenge pulls allow for opening.